Discussion in 'SWNN News Feed' started by SWNN Probe, Apr 16, 2019 at 7:15 AM. All good things come to an end. Today was the last day of Star Wars Celebration in Chicago. We had a lot of cool and interesting reveals this year, and with Lucasfilm taking a hiatus with the feature films for a while, fans were wondering if there will be a Celebration event next year. 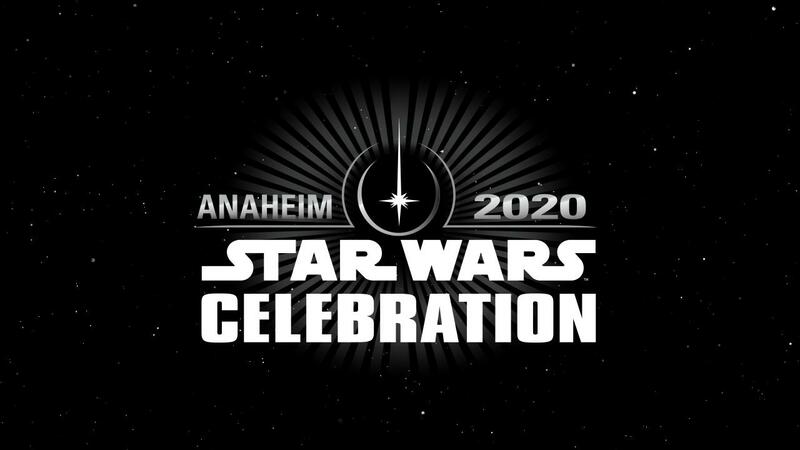 During the closing ceremony of Celebration Chicago it was announced that the most anticipated Star Wars fan event will be back next year, again in the US, in Anaheim. There is still no specific date announced. Anaheim was the city where it all started for the new Star Wars era back in 2015. It's interesting that after Celebration Orlando in 2017 and Celebration Chicago in 2019, fans outside the US were expecting the big event to visit another country, but it appears we will have three straight events taking place in the US. As there are no Star Wars movies coming in 2020, the event will be most likely focused mainly on Disney+ and the upcoming Cassian Andor series, as well as an early look at the two upcoming trilogies from Rian Johnson and Benioff &amp; Weiss. Well, it looks like I'll be going back to Anaheim next year!! I hope that either Anaheim Convention center has unused space that Celebration 2015 didnt use or has expanded. It simply wont be able to handle a Celebration 2019 size crowd otherwise. I was at Celebration 2015 and my son and I got in line for the TFA unveil at 9AM the day of the panel and got in. We ended up watching the EP9 panel from the exhibit floor at the Star Wars Show Live. Come to the east coast for a change. Atlanta can support you!! I don't know....the wife and I were there in '15 also, and I think that now that the initial "Star Wars is back!!" fervor has died down a bit, that PERHAPS it won't be such a circus. But sure...I say that NOW!! Is the convention center connected to a Arena? There were a great deal more people in Chicago so wouldnt say it has died down. In Chicago the Arena held more then the Anaheim Arena. Yet the EP9 panel overflowed into a room as large as the main room in Orlando and another room. Yet it still couldnt hold everyone and so the Star Wars show live on the exhibit hall was also totally jam packed with people standing to watch. Remember the area downstairs, where everyone staged to get in...there's that space also that they could at least use SOME of, but I think there's more also...I just think they may have underestimated the actual turnout in '15. I really want to try to be there for a Celebration. But it all depends on the dates--there are some I just can't take off work, like this year. We have the State Farm Arena (formally the Phillips Arena) where the Atlanta Hawks play which is connected to the CNN Center (CNN HQ) and just right across the street you have the new Mercedes Benz Stadium (Where the Atlanta Falcons and Atlanta United play) and as well across the street from the StateFarm Arena, you have the Georgia World Congress Center (which is the 3rd largest conference center in the US). So you pretty much have a big conference center along with 2 arenas all within walking distance from each other. If Atlanta was capable of hosting the 1996 Summer Olympics, SW Celebration should be easy for Atlanta. Not talking about there estimate. I am basing on my own personal experience. In Anaheim I showed up 2 hours before the TFA panel and got into the live panel. Not the overflow. In Chicago with much more seating between the larger Arena, larger 1st overflow room and a 2nd overflow room we still had to watch from exhibit hall. We have the State Farm Arena (formally the Phillips Arena) where the Atlanta Hawks play which is connected to the CNN Center (CNN HQ) and just right across the street you have the new Mercedes Benz Staduim (Where the Atlanta Falcons and Atlanta United play) and as well across the street from the StateFarm Arena, you have the Georgia World Congress Center (which is one of the biggest conference centers in the US). So you pretty much have a big conference center along with 2 arenas all within walking distance from each other. If Atlanta was capable of hosting the 1996 Summer Olympics, SW Celebration should be easy for Atlanta. That sounds awesome. I would say that an olympics is different. Every event is separate ticketed. With Celebration everyone really wants to be in the main panels. Sure sounds like Atlanta could handle that. Imagine the main panel with everyone in the Mercedes Benz Stadium. Considering my proximity to Anaheim, I'm considering going next year.